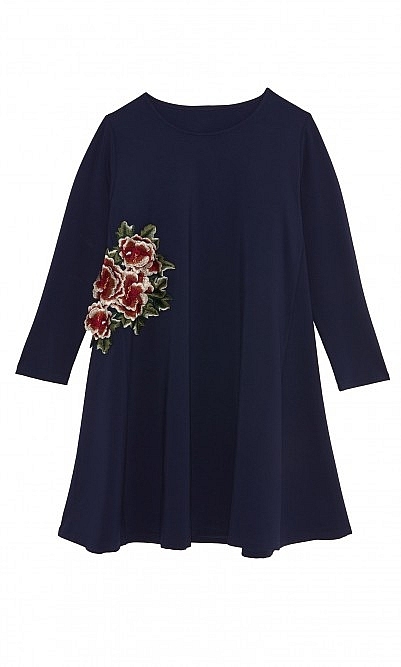 Navy A-line dress flatteringly cut from mid-weight stretch-jersey and embellished with a cluster of embroidered flowers. 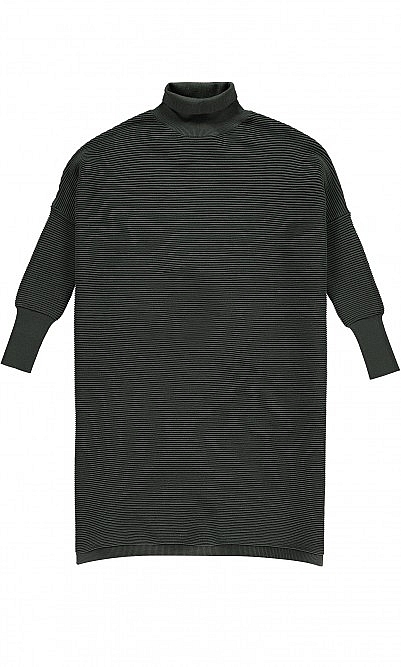 Simple straight sleeves and scoop neck. L93cm.